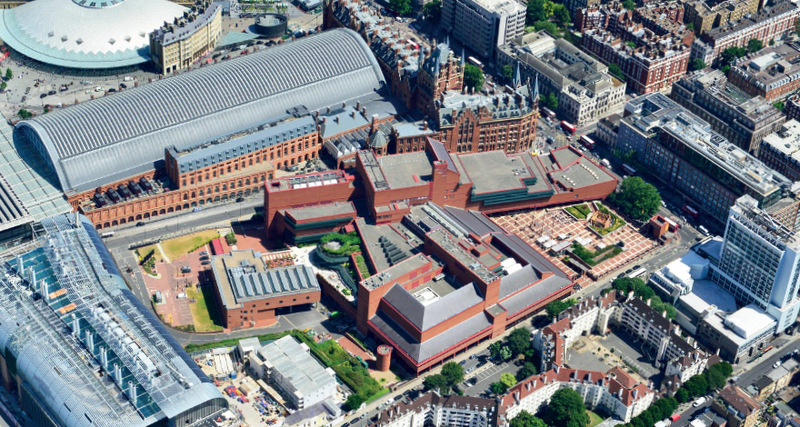 Mitsui Fudosan and Stanhope have signed a development agreement with the British Library to build a 100,000 sq ft extension and new commercial space, at the Library’s Grade 1 listed building at St Pancras. The extension will house state-of-the-art facilities for British Library learning, business and exhibition spaces, a new northern entrance to the Library and a new headquarters for the national institute for data science and artificial intelligence, The Alan Turing Institute. In addition commercial space will be developed as part of the project targeting enterprises wishing to locate at the heart of London’s ‘Knowledge Quarter’. The agreement with SMBL Developments Ltd, a consortium comprising Stanhope and Mitsui Fudosan, will expand the area in line with the Library’s vision to progress its role as a centre for creativity, knowledge and innovation. The consortium will continue to work closely with the local community to ensure that the 2.8 acre site provides the required commercial space alongside vital green space and sustainable transport links.